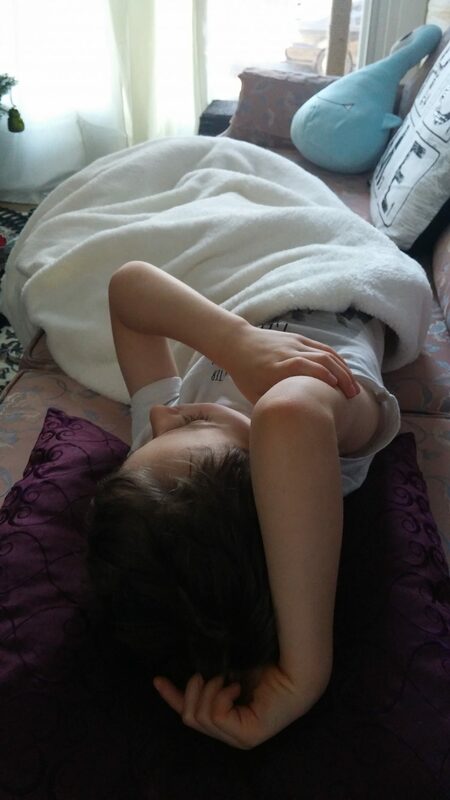 Snuggle Power Up 200% …..
Today is a sick day for Hunter. What are your kids like when they are sick? Hunter is alternating between needing a lot of snuggles and being extremely cranky….like you would expect. You know your kids are not feeling well when you suggest a nap and they don’t even fight you on it! If he isn’t better tomorrow, off to the Dr we go. How is your day going?